At these works, William Holdcroft (formerly Holdcroft & Wood, working period 1864-71) manufactured earthenware dinner, toilet, tea, and other services. and the usual varieties of useful articles, including jugs in great variety. The styles of ornamentation were hand-painting, transfer-printing, groundcolours and lustre-glazes. 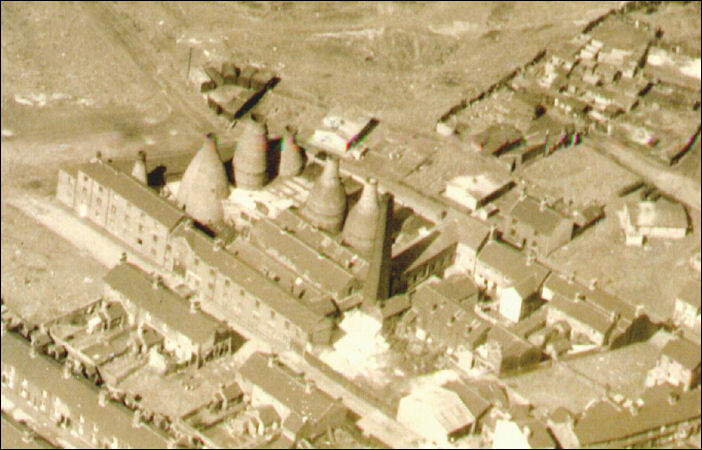 Connected with these works is the interesting fact that Mr. Holdcroft was the first to introduce into the Potteries the down-draught system of firing, which effected a great saving in fuel and a freedom from smoke. 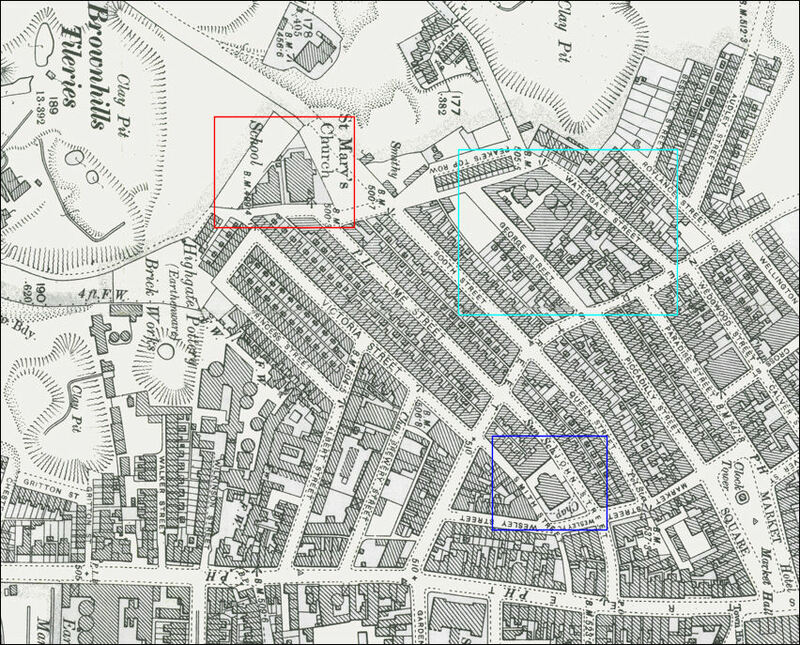 William Holdcroft worked at George Street from 1871 to 1896 and was succeeded by Holdcroft & Co. from 1896 to 1905. 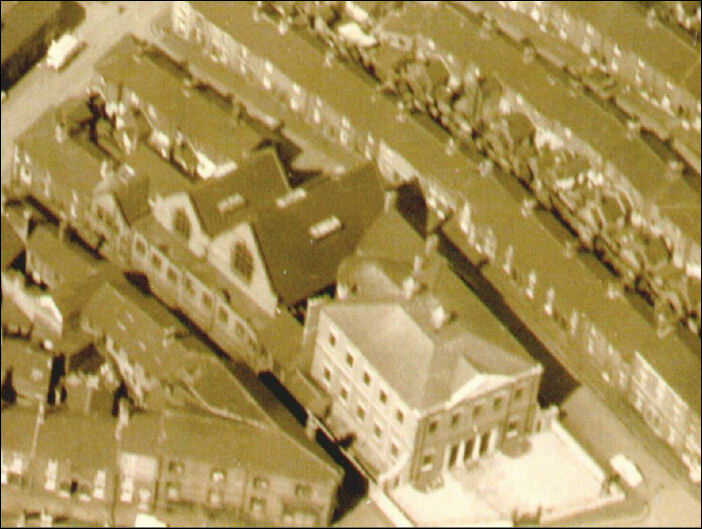 Jubilee Chapel, Tunstall - "the Mother Church"
About 1783 a Methodist society was established at the house of Joseph Smith, attached to the Burslem society. By 1775 it had 30 members and in 1787 a fund for a chapel was raised by John Wesley, the site being given by Joseph Smith. The chapel was erected at a cost of £650 and was opened in 1788. Wesley on visiting it in 1790 declared that it was 'the most elegant I have seen since I left Bath'. '1790, Monday, March 29th - At nine I preached in the new chapel at Tunstall, the most elegant I have seen since I left Bath. The people seemed to devour the word." Discontent arose in the early days of the society over Wesley's ruling that only Church of England prayers were to be used. It was more seriously disturbed from 1808 to 1813 by the growth of the Camp Meeting Movement (which led to the Primitive Methodist movement) in the area and in 1811 the society expelled its steward and Sunday School superintendent, James Steele, one of the leaders of this movement and subsequently a founder of the Primitive Methodist Connexion. 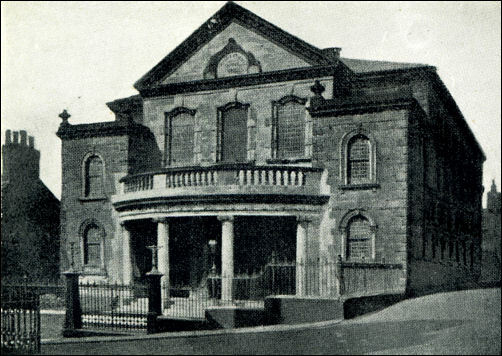 The establishment of that Connexion, however, was only a temporary setback and by 1834 the chapel was too small for the society. 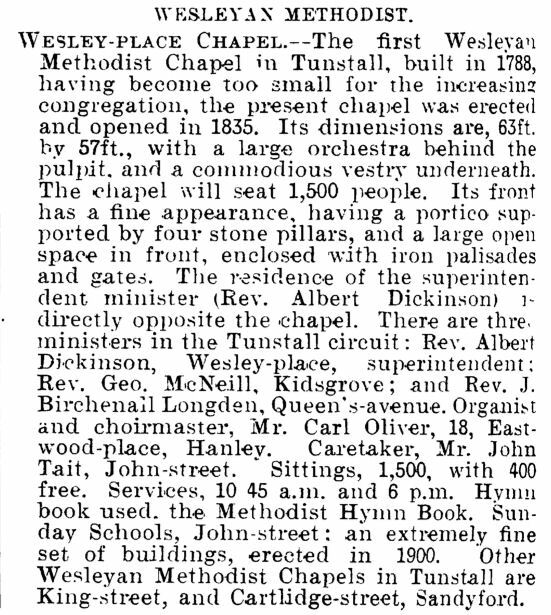 A new chapel in Wesley Place was then begun and officially opened in March of the following year. In 1839 it became head of the newly created Tunstall Wesleyan Circuit. Attendance in 1851 averaged 300 in the morning and 520 in the afternoon. In 1958 it had 176 members. The chapel had a brick pedimented front and was dated 1834 and has a stone porch of three bays supported on Roman Doric columns. In 1869 it was reseated; in 1890 new windows were inserted and in 1898 an organ was installed. From: A History of the County of Stafford: Volume 8 (1963). 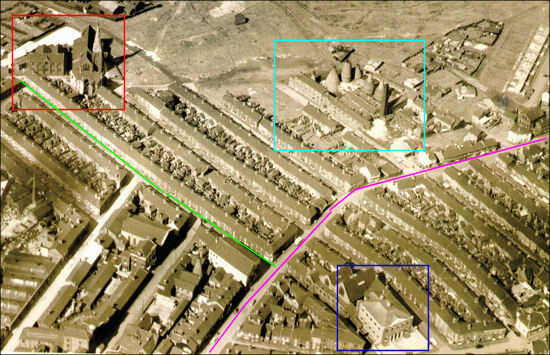 Jubilee Chapel, Wesley Street, Tunstall - "the Mother Church"
The chapel, a building in the Gothic style with a turret on its south-east side, was then the only place of worship in Tunstall and the largest Methodist chapel in the Potteries. It stood at the corner of America Street and Temple Street (renamed to Buren Street and later to Holland Street) by the windmill.